Are you interested in a loft conversion for your property? Look no further than Firtree Building Services for a great loft conversion builders in Enfield service. With over 20 years of experience, our team of builders will ensure that all conversions are constructed safely and to your demands. Lofts that have not been converted are a wasted opportunity for homeowners. In many homes, the loft is seen a storage area that is only good for storing the Christmas tree, suitcases and broken mementoes. Our loft conversion builders in Enfield will help you tap the great opportunity that is your loft and transform it into a desirable space. The only limit to your new loft conversion is your imagination! Our team of Enfield loft conversion builders have converted many lofts into bedrooms with en suite bathrooms or new study rooms for the teenagers. Unlike property extensions, a loft conversion does not always need planning permission as they are designated as ‘permitted developments’. A loft conversion means you will get to avoid the turmoil of planning permission and its’ associated problems. Prices for a dormer loft conversion start from around £30,000. Despite the initial cost of our loft conversion builders Enfield service, it has the opportunity of adding both financial and non-financial value to your home. You may find that after a new loft conversion that your property’s value has increased as it is now a 4 bedroom property instead of 3 bedrooms. Additionally, let’s not forget the main benefit of our conversions – more space! Our Enfield loft conversion builders will ensure that all your projects run according to plan. We will take control of planning, structural work, building work and the sign-off process with certificates if this is necessary. The team can build loft conversions within a 7 week period though this will depend on the size of the loft. Our loft conversion builders in Enfield have been members of Which? Trusted trader’ and FMB for many years. We have over 20 years of experience in the industry and will help bring your loft conversion project to life. All of our loft conversions are built to last and will be tailored to meet your property’s needs. 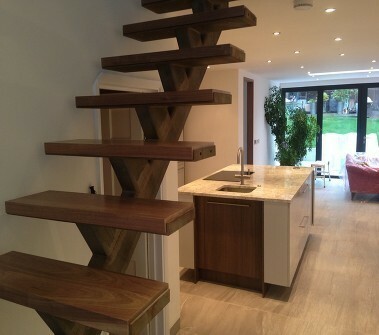 When you choose Fir Tree Building Services, you will receive a 10 year guarantee with every loft conversion. We have full belief in the skills and services of our Enfield loft conversion builders which is why we provide such a guarantee. There are free consultations and quotes for property owners in Enfield. We will inspect the proposed loft and answer any of your queries. What can be done with a loft conversion in Enfield? Contact Firtree Building Services today for the best loft conversion builders in Enfield – it will be a decision that you will not regret.